What comes to mind when you think about "business"? Well, you can retire those old stereotypes. There are some fresh faces in the office. So, who’s shaking things up? Millennials. And they represent the future of business. Many of these individuals have just turned 30 years old, yet they have the drive and experience it takes to find lasting professional success. Millennials differ from other generations in several key areas, particularly their communication style. 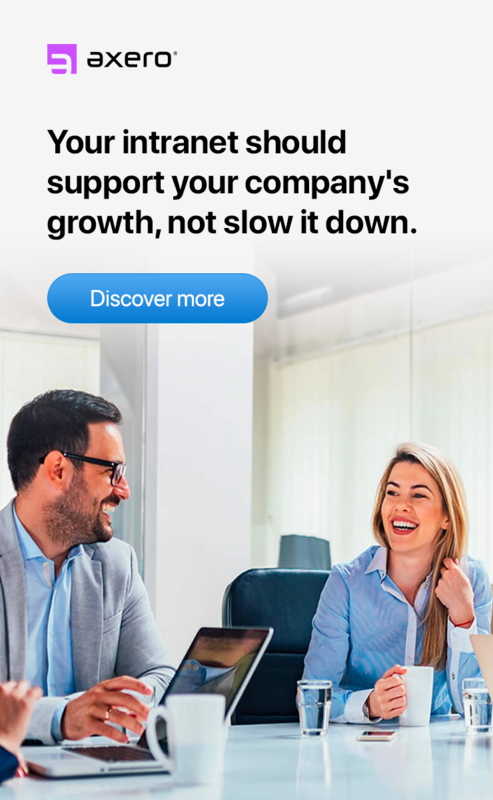 Face-to-face meetings, telephone conversations, and 9-to-5 business hours are increasingly being replaced by intranet software, social media, chat, email and instant messaging on a 24/7 basis. If you want to utilize millennials to their full potential, keep them engaged in their work; and to reduce millennial turnover, you need to understand the core values and the communication style that define millennials. Here are 23 tips about how to communicate with millennials at work. Communication styles express the values of a given group—how members perceive others, how information should (or shouldn’t) be shared, what information is worth sharing in the first place. In order to communicate with millennials, you first need to understand what makes them tick. Ask a millennial what he or she thinks about something, and you’ll get a direct, truthful response—in fact, one that can sometimes sting. This can be a huge put-off for colleagues who are used to more diplomatic, even evasive communication styles that are designed to save face. Millennials want to build a solid foundation of trust with their colleagues and managers, and sugar-coated exchanges won’t make this happen. Millennials are honest and to the point, and they know this makes for effective internal communication. Encourage them to speak up on projects they’re working on, and solicit their opinion on projects outside of their immediate scope as well. They may have an idea or suggestion that can provide a fresh approach. 2. They want to be heard. With unprecedented access to information, today’s up-and-coming millennials are exceedingly smart. They demonstrate tremendous promise and leadership potential at a young age. As a result, these millennials want to be a part of the decision-making process ... now. Those in leadership should expect that millennials will be highly forthcoming when asked their thoughts on a particular decision. Managers should listen to these new voices, let them know that they’re heard, and take their viewpoint into consideration to benefit the entire organization. 3. They’re looking for upward movement. No self-respecting millennial wants to sit back and wait for that dream job to arrive, even if long-term chances for a promotion at the current workplace are good. In most cases, millennials are looking for upward movement, and they don’t expect it to take a lifetime. Communication between managers and millennials can indicate if an employee is ready and willing to take on more responsibility. Even if your employee has only been with your company for a year or two, evaluate his or her performance, and offer a promotion if appropriate. 4. They want to speak to top-level leaders. Millennials are an increasingly confident bunch, and they’re always looking to get to the source. Whether it involves a major decision, a new project, or a simple desire to get to know their managers better, millennials want to communicate with top-level leaders whenever possible. This can throw some CEOs and managers off, as they may be used to working with employees who are more timid or less vocal. Ultimately, this direct communication style should be embraced as a way of creating transparency and encouraging new ideas. 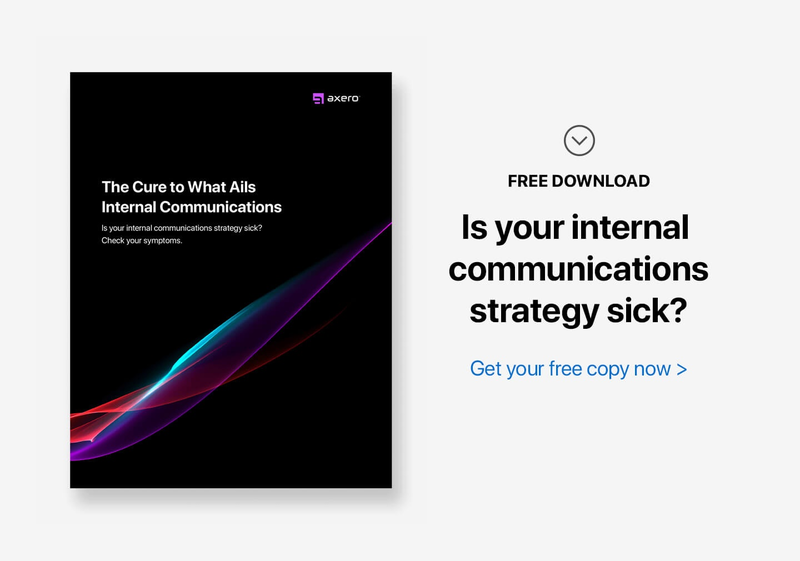 One of making this two-way conversation accessible for evenyone in your company, including millennials, is to implement a company intranet that contains internal communications software built-in. It allows information, news, and updates to be delivered across your organization, while at the same time giving employees the option to comment, ask questions, and further the discussion. 5. They like feedback and constructive criticism. Feedback and constructive criticism are vital to professional development, and millennials are unusually open to this dynamic. Most millennials thrive on a quick back-and-forth with the manager or CEO, as they know it will improve individual and business performance. Millennials don’t like to go through the motions blindly, so they’ll want to know how they’re doing. If you’re not steering them in the right direction with accurate feedback, they will easily lose interest and become disengaged. When providing feedback, tailor your approach to fit the millennial communication style—clear, direct, and collaborative. 6. Millennials communicate their needs. Just ask. There was once a strong sense in the business world that if you didn’t absolutely need something, you didn’t ask for it. 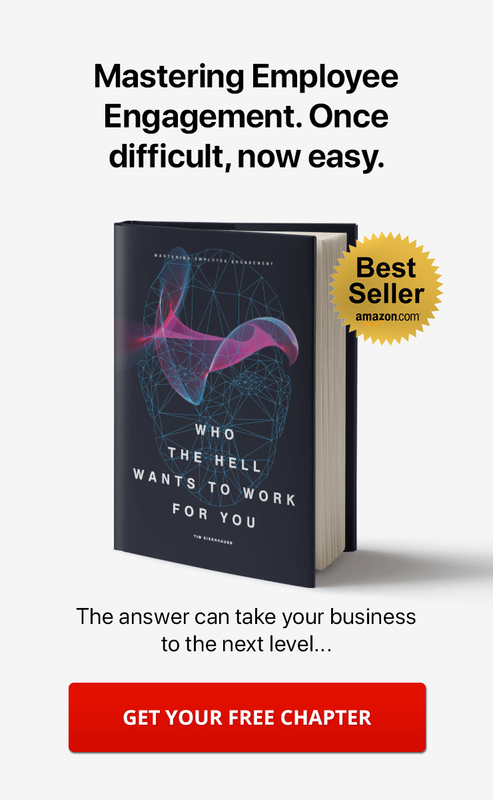 This "don’t complain unless you have to" attitude may be a method of staying out of trouble and keeping your job, but it doesn’t do your staff or your organization any favors. Millennials strongly believe that their needs matter, and they aren’t afraid to speak up. Perhaps they need more time to finish a project or could use a personal day. Unlike previous generations of workers, millennials will let you know where they stand. 7. They want success for everyone involved. Millennials are more globally connected and intuitively collaborative than their predecessors. On any given project, they truly want all participants to succeed and to be satisfied. As a result, millennials will post project updates on social intranets and copy all stakeholders on emails, rather than "hoarding" information for personal gain. Their focus is on the whole, and they view their colleagues as teammates. 8. They appreciate quick wit. Perhaps as a result of the social unrest and political turmoil in many parts of the world, millennials are a generation that particularly values humor and quick wit. In their exchanges, millennials rely on puns, sarcasm, and jokes to underscore their points and to relieve the tension of long workdays. They are more likely to react positively if even serious topics are approached with some elements of humor. 9. They favor a liberal bias. Today’s generation is one of the most progressive in many decades, and they favor a liberal bias. Most millennials have absolutely no time for language or policies that offend or discriminate. Framing a conversation with this in mind is essential to reaching a millennial and engaging buy-in on projects and issues. 10. Millennials equate newer with better. Looking to really grab the attention of millennials? Give them the latest and greatest in technology. Millennials thrive on testing out new devices and technology. They jump at the release of a new smartphone, social media platform, mobile intranet, etc. Millennials are by definition "early adopters," and not just when it comes to digital devices. They constantly seek fresh ideas, innovative approaches, and original insights. When employers internalize the concept that "newer is better," communicating with millennials becomes easier and more productive. In previous business cultures, a dour demeanor was often equated with determination, gravity, and leadership skill. However, negative outlooks are no longer embraced by younger generations. Rather, millennials prefer to view the world with a sense of optimism, and they often look to CEOs and managers—such as the ever-smiling Richard Branson—as role models for positivity. 12. They thrive on passion and excitement. It’s quite possible that the millennial generation is more driven than their predecessors. Millennials have grown up in a fast-paced world that rewards people for their hard work and achievements. Passionate and exciting dialogue can bridge the gap between millennials and those from other generations, and it can also help improve employee engagement and business productivity. 13. They respond to stories and anecdotes. As a generation that’s passionate about social media and entertainment, millennials crave stories and personal anecdotes. Abstract concepts come alive when they’re given a personal face and an individual narrative. A well-told story is part of the language of the millennial that should be incorporated into business communication. As products of the digital and information revolution, millennials operate on a schedule that differs substantially from the traditional business timetable. 14. They prefer 24/7 availability. Millennials tend to be available after "regular business hours" to a much greater extent than older professionals. Some of this has to do with youthful energy and the excitement of career advancement. However, much of this trend can be attributed to millennials having constant access to email, social media, and social collaboration tools. Smartphones have made 24/7 availability a reality, and hungry millennials often take pride in their quick, late-night responsiveness. Because of their high-energy, hyper-connected work style, millennials often prefer to set their own schedules. Many managers understand that this flexibility can boost productivity and allow companies with a global reach to span multiple time zones. 15. Millennials juggle multiple conversations. Most millennials will admit to juggling a number of conversations at the same time, whether personal or professional in nature. It’s important to understand, though, that this is not an indication that they’re not paying attention. Instead, it demonstrates that millennials are expert multitaskers, as many have grown up in a world where instant messaging, email, and even phone conversations are all handled at once. So, given their values and their schedule preferences, how exactly do millennials communicate? Digital technology is the key. 16. They’re not into face-to-face communication. There are plenty of times when communicating face-to-face is necessary. Many lasting business relationships are formed over lunches and at in-person events. However, due to their penchant for multitasking and digital technology, many millennials would prefer to work remotely if possible and use business communication tools. Even when they’re attending an in-person meeting, millennials will constantly scan email and send texts, making face-to-face communication a matter of sharing screen time with a smartphone. Virtual meetings, by contrast, are faster, less costly, and more focused for the millennial. 17. They prefer written communication. Managing an important project or handling complex tasks can be overwhelming. Most millennials would rather leave the telephone untouched and streamline their workload using written communication methods. Sending out a message via email or instant messaging is a quick, effective way to get in touch with someone. Written communication through a social intranet also enables millennials to assign a project without losing any details – and all of the information can be recalled later. This helps when keeping track of project updates because everyone involved is accountable. 18. Millennials think in terms of "social". One of the most important advancements in business technology over the past decade or so has been the introduction of the social intranet. 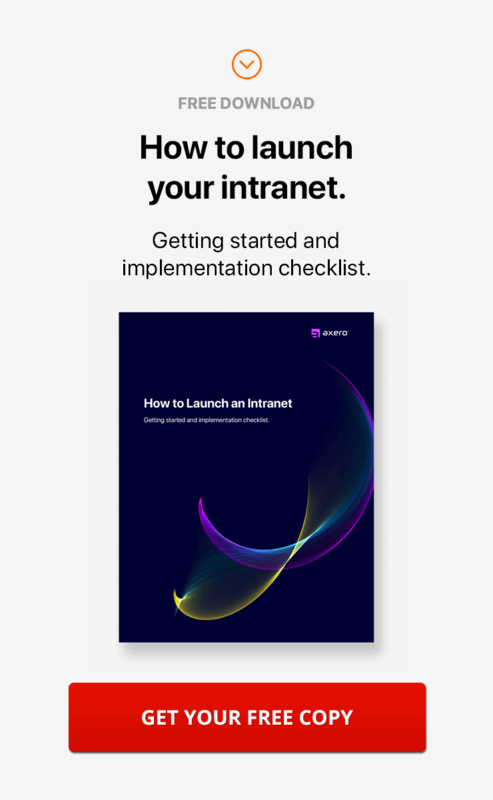 Social intranet software serves as the collective mind of an organization, allowing employees to interact with each other in a real-time virtual environment whenever they want. Many of today’s best intranet platforms place focus on the "social" aspects. Because many millennials grew up with Facebook, Twitter, and similar platforms, they think in terms of "social" ... and it has made an impact on how they communicate. 19. They’re mobile and highly connected. Laptops are still the preferred tools for professionals on the go. They’re easily accessible, and they allow you to get your work done quickly and effectively. However, when it comes to communication, millennials are almost always on their smartphones. Whether they’re texting a colleague, drafting an email, or initiating a phone call, a smartphone is the center of their universe. Because of this, millennials are readily available for any type of business communication. 20. Millennials respond well to media. Onboarding new hires can be a challenge, especially given the volume of information and training you need to communicate in a short period of time. Millennials are different, though – they prefer to take learning into their own hands. As a result, they respond well to media such as informational videos and infographics, which are easily distributed digitally ... perhaps on your company intranet. Millennials like to have a strong grasp on the content they consume, so give them access to helpful media. This will be more productive and less costly than staging a formal training session. As you can see, millennials have a style all their own, and their communications reflect that unique voice. 21. They’re short and to the point. Sometimes particular projects or issues require deep discussions in order to analyze processes, tasks, and resources. However, these discussions can often veer off topic, wasting time and money. Millennials tend to take a brisker approach to business communication - short and to the point. Small talk can come later. For millennials, the focus is on getting the job done accurately and effectively. After the workday is over, then it’s time to shift focus and engage with co-workers on a more personal level. 22. They have their own lingo. Slang evolves with each generation. When was the last time you heard a guy referred to as a "cat?" Indeed, most millennials are quicker to call someone their "BFF" than they are to comment on something as being "far out." Older slang terms are no longer part of the conversation, and if you’re going to employ millennials, learning their language will help you to better engage them. A word of caution, though — don’t overuse slang terms in general conversation, as you might appear to be trying too hard. 23. They like to use abbreviations. The social media generation relies heavily on abbreviations, which can mystify older professionals. Many abbreviations have been (and continue to be) developed by the space constraints of text messages and social media platforms like Twitter. Some of the more well-known examples include LOL ("laughing out loud"), BTW ("by the way"), TL:DR ("too long; didn’t read"), and NP ("no problem"). Millennials often incorporate these shortcuts into their business communications. By taking the time to learn the more popular terms, you can better engage millennials and keep pace with the ever-changing dynamic of language. Representing over 80 million Americans, the millennial generation is quickly gaining traction in the professional world. Sharp, savvy, and digitally dynamic, millennials are poised to revolutionize business communications. By understanding their values and communication style, you can leverage the tremendous power of the millennial worker for your organization. You should rethink this sentence under the heading "Millennials Favor a Liberal Bias": "Most millennials have absolutely no time for language or policies that offend or discriminate." You seem to be implying that moderate or conservative policies are offensive or discriminatory. Not accurate and not cool. This post has nothing to do with political views of millennials. I'm confused as to why you would suggest the implication. Thanks for chiming in though, nice to have you around, hope to hear from you again soon. The photo is all wrong. None of them would be holding pens. All would be holding iPhones, and nobody would be looking at anybody else -- and there might be one person smiling, not every single one. The whole point of this millennial conversation is that it's best treat them as real people. It's about throwing the stereotype away. Do you really want a drab, miserable looking photo with everybody looking down at their phones, not smiling? This photo shows that if you get millennials to interact with each other (and other generations) that they are really no different than you. Hi, Tim, I'm from the baby boomer generation and I really found your article to be really enlightening. I hope to use your pointers and tips to improve communication with our millennial generation. Thanks for your comment, Clyde. I'm a boomer who has mentored millennials. They don't want to be stereotyped, any more than I want to be shoved in the boomer column. As the article from FastCompany (listed above) mentions - all of us at one time or another were that "upstart, whippersnapper (Whatever that is!)" that caused previous generations heartburn. As you sum up - let's throw away these benighted (word from my parent's generation) stereotypes. I couldn't agree more, Judith! Hi, Tim - I'd love to know where you're drawing your data for this post. I'm interested in learning a little more about internal communication practices, and so far I haven't been able to find sources for most of the data in posts like these. Do you have a study or studies you're referencing for this information? Would you mind sharing? Thanks! Hi Astrid. Well, I work with many millennials. So I get to be around them all day, every day. One thing that you'll learn is that are humans too! I wish I had some data for you. I'll keep an eye out. Thanks for commenting.